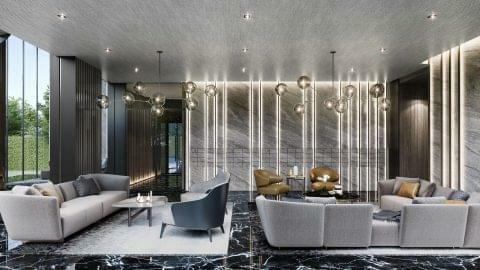 An oasis located in the center of the emerging Rama IX Ratchada district; the TEAK Ratchada 19 is designed for contemporary luxury living within Bangkok’s newest CBD. Immerse yourself in paradise, with an array of luxurious facilities catering for the professional who has a taste for unique lifestyle experiences. Start your day with a rejuvenating exercise session, from the open view fitness area. Unwind in the crystal-clear waters of the rooftop pool, as your peer out from the heights of one of the district’s finest boutique condos. The TEAK Ratchada 19 is designed with exclusivity, style and serenity in mind, for the professional who values lifestyle, convenience as well as the finest quality finishes. 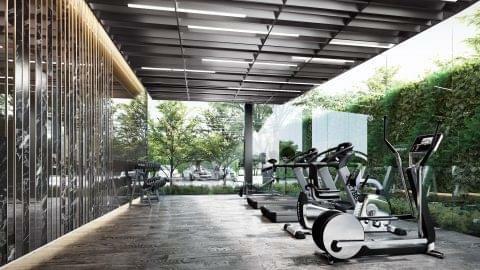 Whether you travel to the area frequently, desire a lifestyle change or are looking for your next investment, the TEAK Ratchada 19 offers facilities for every desire such as a co-working space, full-equipped fitness room, sunny pool and 24-hour security. 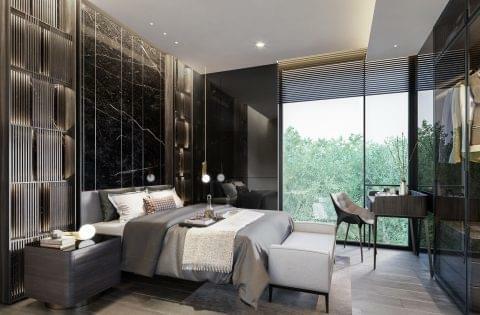 Situated in an area which is fast becoming one of Bangkok’s newest CBDs, the TEAK Ratchada 19 offers a connection to the rest of the capital that is unmatched by surrounding residential developments. The MRT is just 100 meters from your doorstep meaning busy Bangkok traffic never has to weigh on your mind. 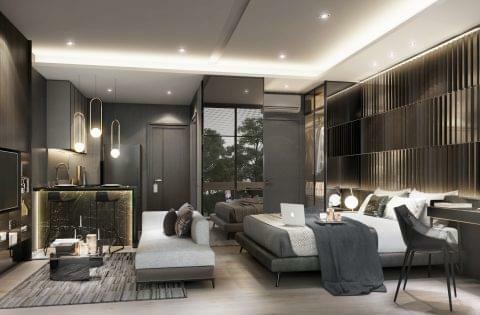 With the Central Rama IX shopping center, universities, schools, and hospitals all just a short distance away, the boutique condo is in a location that cannot be matched in desirability. The surrounding neighborhood offers a glimpse into the convenient lifestyle offered. New office developments solidify the area as a business and commercial center. To complement this, the vibrant lifestyle and eclectic nightlife choices offered, by the many restaurants, bars and clubs also make the area a desirable leisure hub. 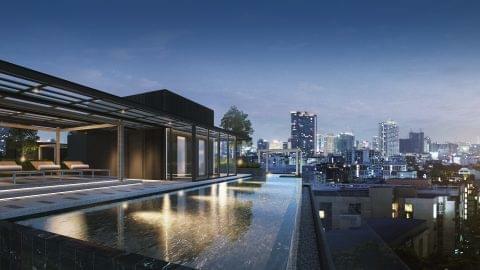 For investors, the dramatic transformation of the surrounding cityscape has created opportunities hard to come by anywhere else in Bangkok. 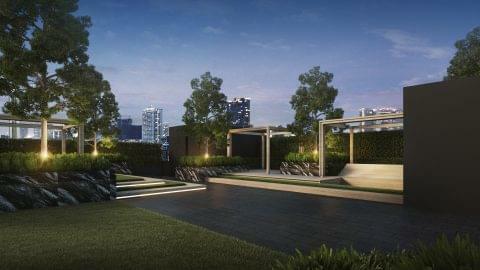 The Teak Ratchada 19 is a unique investment, offering an excellent location, ultra-convenient lifestyle and a beautiful boutique concept! 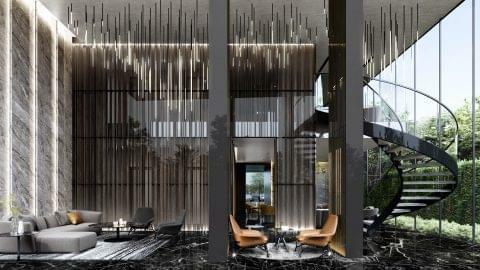 Hello, I found your condo for sale at The Teak Ratchada 19 on FRESH Property (price price_replace). Is it still available? If yes, I would like to schedule a viewing. Thank you.